The tweed pumpkin came from the dollar bins at Target (I know, right? 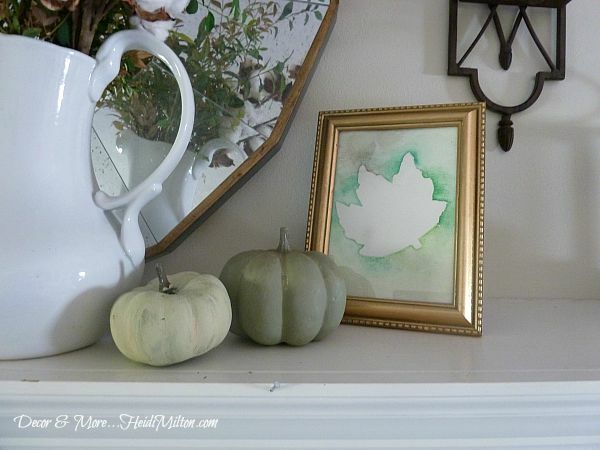 ); white pitcher is from Decor Steals, small Dollar Store pumpkins are chalkpainted; the leaf watercolor is my own, done using this technique. 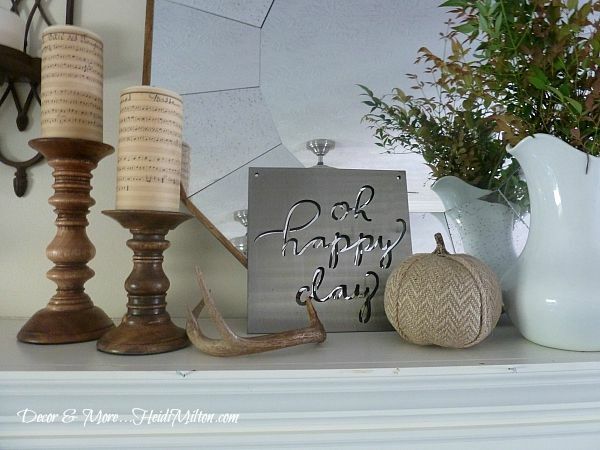 The sheet music candles are a DIY (tutorial HERE), the antler was found at my husband’s hunting camp, and the “oh happy day” came from Magnolia Market (yay, Jimmy Don!). 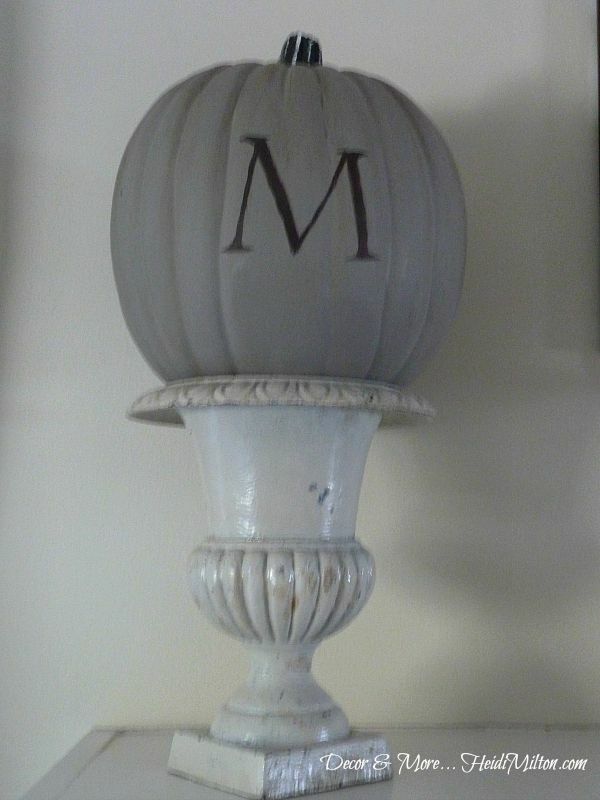 The monogram pumpkin is another DIY. 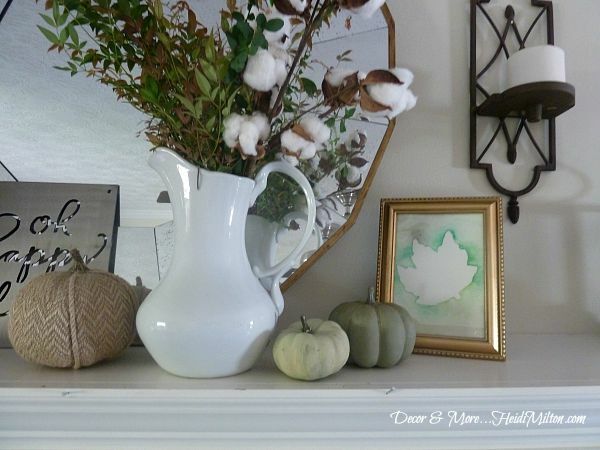 The urn is from Southern Living at Home ca. 2001. The lantern and sconces are also Southern Living at Home products. The cotton branches came from a local shop and the greenery is all right out of my yard. This sweet little “nail head” pumpkin project is HERE. 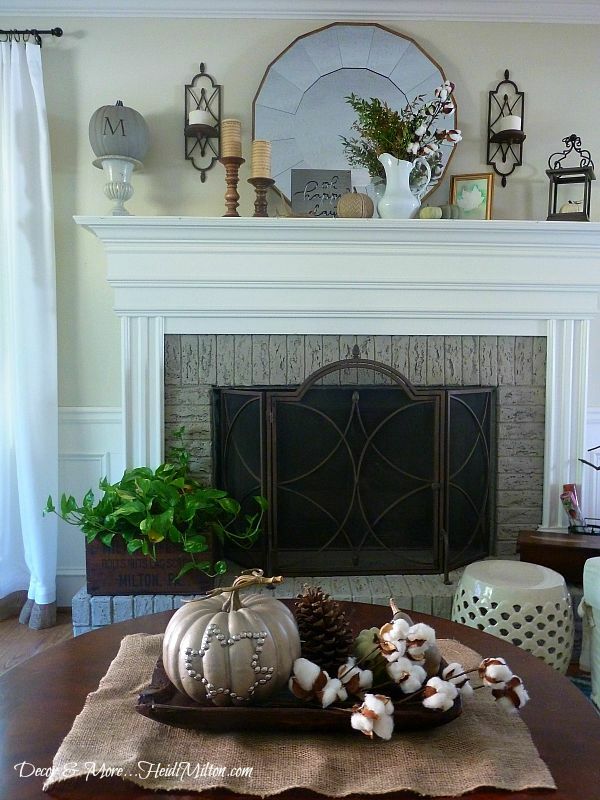 Replica dough bowl is from Decor Steals and my fireplace screen is also Southern Living at Home. I’m loving how fresh all this feels! It’s still 85 degrees here, so I’m not quite ready to get my “cozy” on. This is the perfect balance of fall and fresh for now. 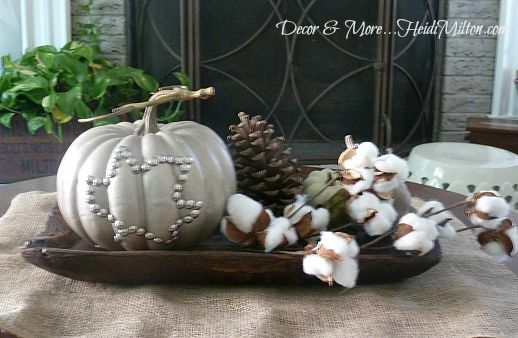 Have you gotten your fall decorating done or does it still feel like summer where you are? 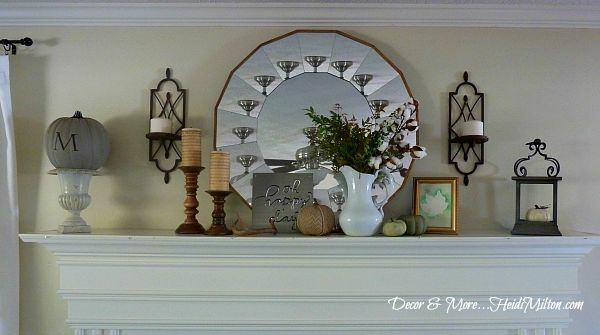 Tell me more about Décor Steals! And I love the cotton balls, what store? 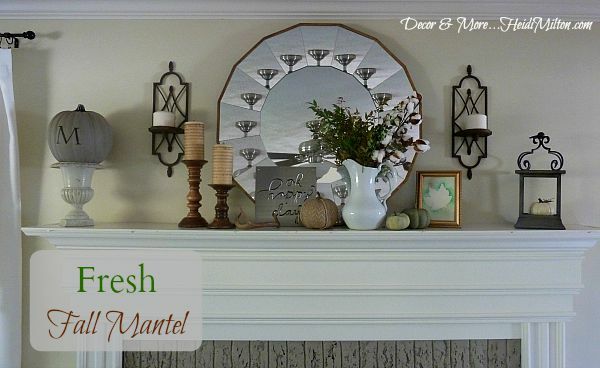 I think I’ll be tackling the family room paneling in my “new life” after viewing your relaxing pictures!